-EDMONTON Ghost Tours is already a week into their ghost walks in Old Strathcona (10322-83 Ave.), which will set you back just $5 "per soul." The walks take place on Monday, Tuesday, Wednesday and Thursday nights (October 12-29) at 7PM and go for about an hour. There is no pre-booking, and organizers ask that you arrive 15 minutes early. -Edmontonians with pets are encouraged to spend Friday night (October 23) at the ACTSS' (Animal Cancer Therapy Subsidization Society) 9th "Annual Halloween Extravaganza," which includes dinner, games, a silent auction, pet cancer tributes, and even a pet costume contest. The event is hosted at the Palace Banquet & Conference Facility. Call 780-497-9776 for ticket info. -On Friday, October 23 and Saturday, October 24 (6-11PM), anyone is welcome to head down to Fort Edmonton Park's "Spooktacular," which includes both indoor and outdoor activities. Tickets can be purchased via Ticketmaster for $16 (ages 13+)/ $12.75 (ages 2-12). Call 780-451-8000. -The Castledowns YMCA Community Centre (11510-153 Ave.) is throwing a "Preschool Halloween Carnival" (1-3PM) and "Children's Halloween Carnival" (6-8:30PM) on Saturday, October 24. The latter event includes a haunted house, crafts and games, all for just $5 (members)/ $7 (non-members). Call 780-476-YMCA (9622). -Music, puzzles, games and prizes will highlight the all-ages "Mad Hatter's Halloween Party" at the Muttart Conservatory (9626-96A St.). The fun begins at 1PM on Sunday, October 25, and tickets are $29.25 for a whole family, or: $5 child/ $7.25 youth/ $7.25 senior/ $9.75 adult. -The "infamous" Dagg Family will be hosting the 9th annual "Norwood Haunted House" in the Alberta Avenue/ Norwood community. There will be 450 square feet of fun from Tuesday, October 27th to Saturday, October 31st at 6-9PM (5-10PM on Halloween only). 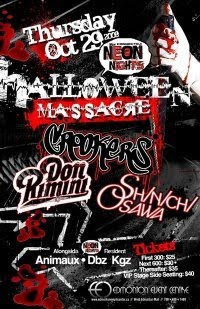 The event is located at 1131-95a St..
-Connected Events is hosting the "Connected Halloween Massacre" on the Thursday before Halloween (October 29), which will take place at Edmonton Event Centre in West Edmonton Mall (780-489-7469). 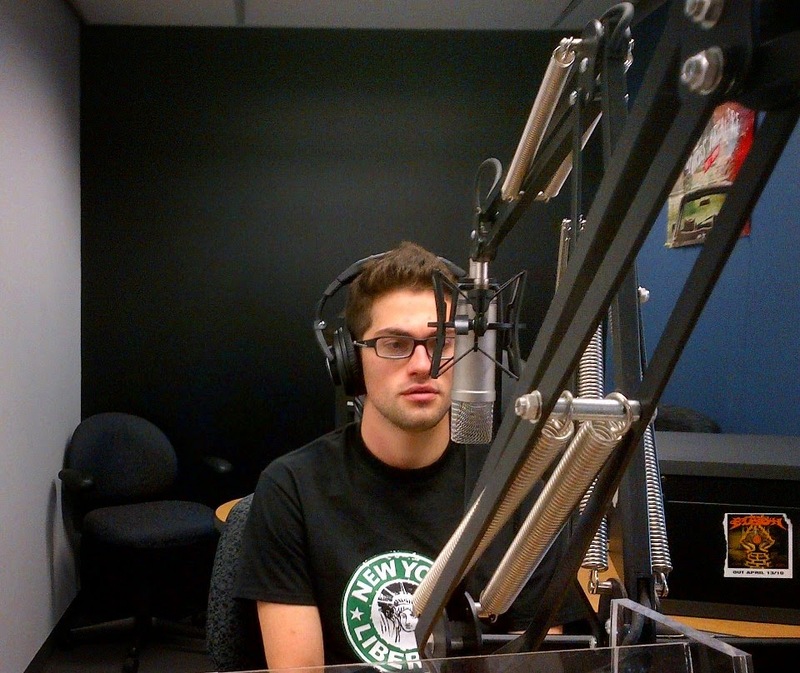 The show features music by Crookers, Shinichi Osawa and Don Rimini. Tickets range from $25-40 and can be purchased at Ticketmaster. -For $25 anyone 18+ can participate in the "Halloween Club Crawl," presented by Student Tours. Costumes are mandatory for the Friday, October 30 night out (7:30PM-2:30AM), which starts at the Oil City Roadhouse on Jasper Ave. Ticket price includes party bus transportation, entrance into all four venues (including Rock Stars, Lucky 13 and Wooly Bullys) and VIP admission (no lines, no covers). -91.7 The Bounce are throwing their "Annual Halloween Thriller" party on Friday, October 30 (8PM) at West Edmonton Mall's Edmonton Event Centre. Harman B & DJ Kwake will provide the music for the no-minors event, which will also provide cash for 'Best Costume' winners. Tickets are $36.80 ($52.60 VIP) and are available at Ticketmaster. -The 17th annual "Halloween Howler," hosted by 100.3 The Bear, will take place on Halloween eve (Friday, October 30 @ 8PM) at the Shaw Conference Centre (9797 Jasper Ave.). Unfortunately, tickets are sold out for the show, which will feature headliners Puddle of Mudd. 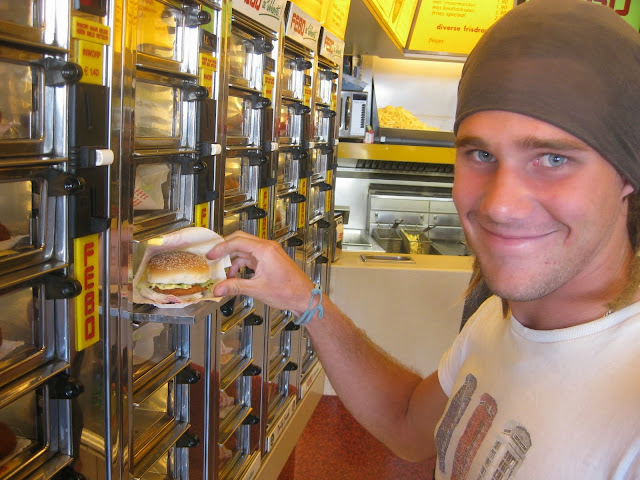 No minors. -On Halloween night (Saturday, October 31) families are welcome to head down to "Halloween Alley" (147 St. & 103 Ave.), where there will be displays, decorated homes and, of course, candy! 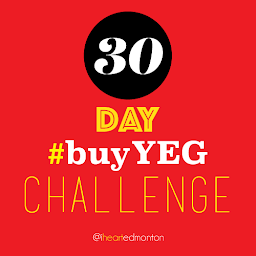 Participants are encouraged to bring a donation for the Edmonton Food Bank to the free event. 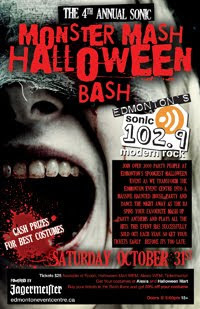 -For $25 you can check out Sonic 102.9's 4th annual "Monster Mash Halloween Bash" (Saturday, October 31 @ 8:30PM) at Edmonton Event Centre (West Edmonton Mall). Cash prizes will be awarded to the top three 'Best Dressed' ($1000/ $500/ $250) at the no-minors concert. Tickets available at Ticketmaster. -Many of Edmonton's clubs and pubs will be hosting their own Halloween parties on Saturday, October 31, including Halo Lounge (10538-Jasper Ave.), the Empire Ballroom (West Edmonton Mall), Diesel Ultra Lounge (11725-Jasper Ave.), Iron Horse (8101-103 St.), Club Malibu (10338-81 Ave.) and Dirty Pretty (8111-105 St.). -One of the creepiest movies in years is Paranormal Activity, and the hit film is currently playing at the Scotiabank Theatre in West Edmonton Mall (780-444-2400). Saw VI also hits local theatres on Friday, October 23, while Halloween II and Sorority Row are both playing at Movies 12 (5074-130 Ave.). Check out Edmonton Movie Guide for showtimes. 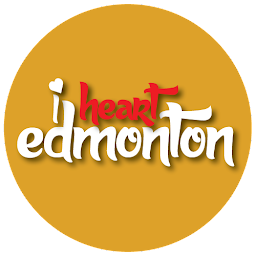 I Heart Edmonton Joins Twitter!